Looking for Accenture Question Papers? You’re at the right place. 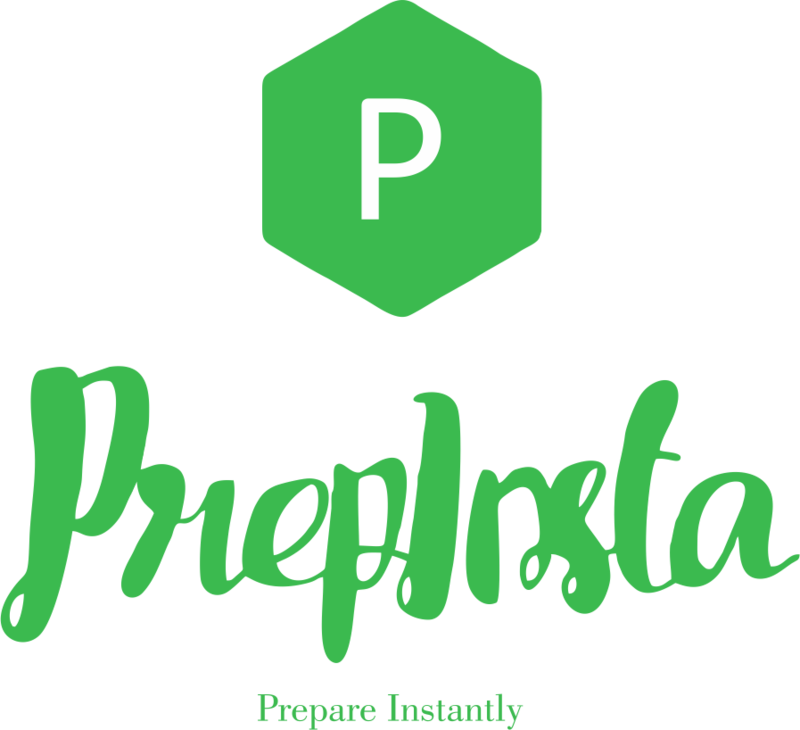 PrepInsta is India’s No.1 website for Placement Preparation. Accenture Previous papers and Accenture Sample Papers can be found out on this page. If the process is off campus: Accenture Placement papers are basically AMCAT Papers specific for Accenture. Accenture Questions are relatively easy as observed by us in Accenture Written Test Paper and Questions for year 2018 for AMCAT (Aspiring Minds). If the Test is for On Campus then it is MeritTrac Test . Accenture Questions with solutions are there on our quiz pages. AMCAT Question Papers for Accenture are of moderate difficulty but the time is less so some people are not able to solve the whole paper in time, this is for Accenture AMCAT Papers. However, for MeritTrac the paper is tough but time is enough. AMCAT Accenture Placement Papers PDF with Solutions can be found in our paid papers below. 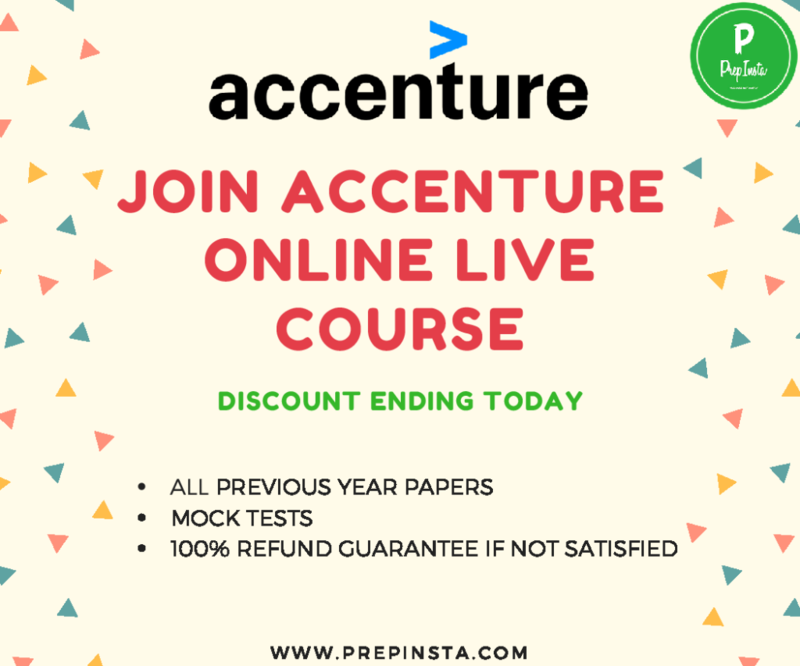 Accenture Written Test Papers with Solutions PDF have all the Accenture Previous Year Question Papers for Written Test Papers to prepare for the exam. Accenture is Currently Hiring Off Campus Via AMCAT(off campus) . Check Latest Accenture Syllabus here on this page. Here you will find the pattern for AMCAT Accenture Placement Papers and Solutions for Accenture AMCAT Questions. AMCAT and MeritTrac Accenture Placement Papers PDF with Solutions. Tip – Please read the whole page, till the end and then visit any of the preparation Dashboard, you will find a lot of interesting facts about the exam. Verbal Ability Questions are asked in Accenture for both MeritTrac and AMCAT and accenture exam pattern 2018. On our Verbal Ability Dashboard you will find Questions for Accenture English Questions for both of AMCAT and MeritTrac. Accenture out sourced companies for First Round MeritTrack and AMCAT both ask Reasoning Ability Questions. You will find Sections and questions for both of them on our Accenture Logical Reasoning Questions. This section for Accenture Quants Paper section is only asked in AMCAT. Find Test Questions for this section on our Quants Questions for Accenture Dashboard. Accenture Attention to details Paper with answers. This section is only asked in MeritTrac. Ques. Is there negative marking in the test? Ans. Yes, there is no negative marking in the test and each section has a sectional timing and reviews to the answers are available after every section. Ques. 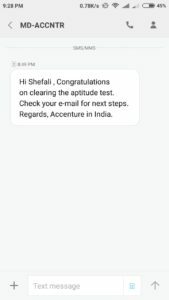 I am confused about which Accenture Exam Papers should I be studying for – AMCAT or MeritTrac for getting Placed with Accenture Test Papers? Ques. Apart from the written round, which other rounds are there in the Accenture Placements? Ques. What is the eligibility criteria for Accenture? Ques. Is there negative marking the test? Ans. In both AMCAT and MeritTrac there is no negative marking. Ques. Which is the most easy section in Accenture Questions Paper and the toughest in Accenture written test paper? Ans. The easiest section is Quants and the toughest is Logical Reasoning for Accenture Placement Papers PDF and Accenture Questions that were asked in the AMCAT Accenture Placement Papers PDF. Ques. I am attending Accenture Drive off campus this month should I study from Accenture Placement papers through AMCAT? Ans. 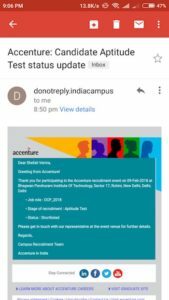 Yes, Accenture Placement papers through AMCAT are used by them for Off campus thus we recommend studying from there for accenture question papers. Ques. Where can I find Accenture Sample Papers and Mock Test Papers? Ans. 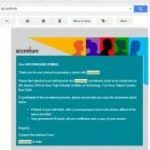 If you want Accenture Mock Test Papers or Accenture Sample Papers directly study from our Test Papers it makes more sense to study from Questions in Accenture Written Test Papers with Solutions PDF which have already been asked in the exam rather than studying with mock papers or sample papers for accenture exam pattern 2018 or AMCAT Accenture Placement Papers PDF and Accenture Placement papers through AMCAT. Ques. What is the Syllabus for Accenture for AMCAT based Test? Round 1: Online aptitude test based on Amcat accenture question papers. This mainly consist of numerical ability, reasoning and English. You should prepare well for Amcat. This is an average test which you can easily qualify if you have good basic concepts. The main topics are Number system, time and work, profit and loss, percentage. There were also some easy questions based on bar graph and pie charts in accenture placement papers through amcat. 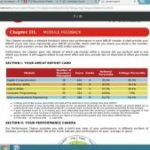 If you score more than 85%ile in each section then you through the next round, if in any section percentile is less than 80%ile then you will not get any call from them. With the help of PrepInsta questions i was able to secure a good position in the next Round. Round 2: The technical round and HR round are combined. Five candidates are called together for the interview. The interview is mainly based on your communication skills. They very rarely asks about technical stuffs. If it is asked, then only from the skills what you have mentioned in your resume. Tell me about your projects. Why you wanna join accenture? All these questions are most often asked in accenture question papers. In very rare cases, they may ask very basic technical questions in Interview like whats difference between c and c++, oops concepts ,explain abstraction with real life example etc in Accenture placement papers through amcat. Note: Keep your answers short and precise as they take group interview, so your answers should be short and to the point satisfying the interviewer. Just prepare well by practicing these questions, be fluent in English and don’t panic at any cost. Most of the people were asked all HR questions like tell me about yourself, tell me about your BE project, and other basic hr questions and no technical accenture question papers section of Interview.